Super cute and super easy to make. 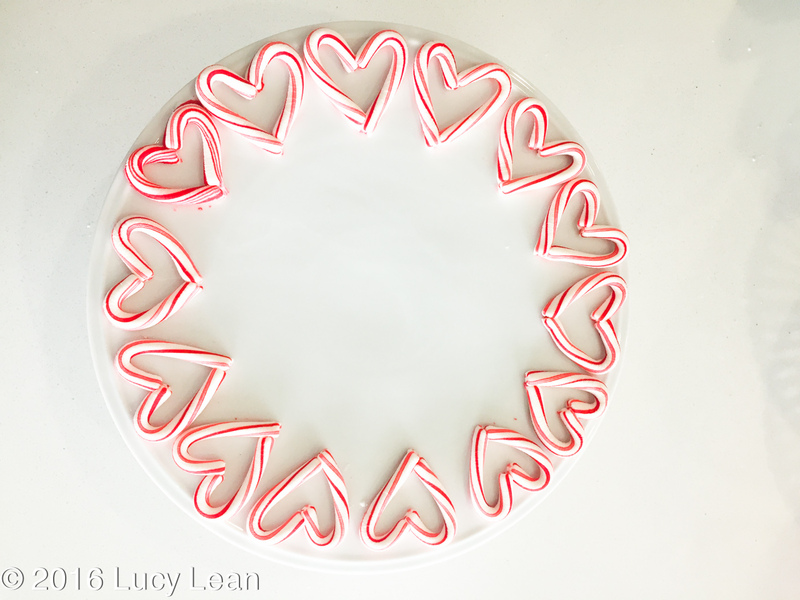 Or as some would say – ‘so pinterest’ these Candy Cane Hearts will set hearts a flutter. The best part is they are very simple to make as you will see below. It’s a question of heating the candy canes enough to mold them together and shape into a heart. I wish I had more left over mini candy canes from Christmas to carry me through to Feb 14th and Valentine’s Day. 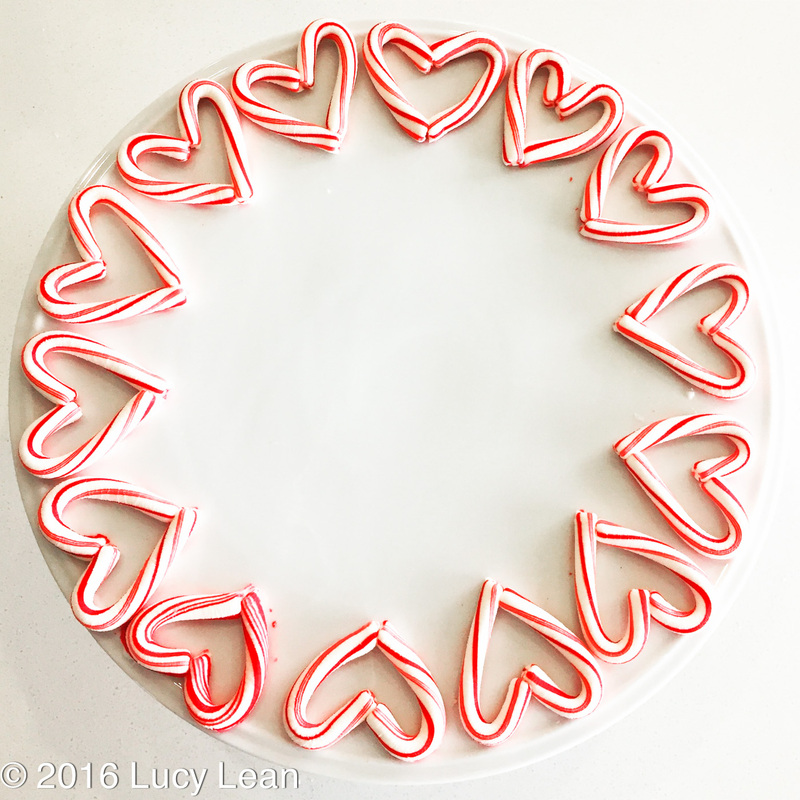 Take small candy canes and arrange in pairs to form a heart on parchment paper. Heat the oven to 250 F and place tray of hearts in oven for about 5 – 7 minutes or until softened. 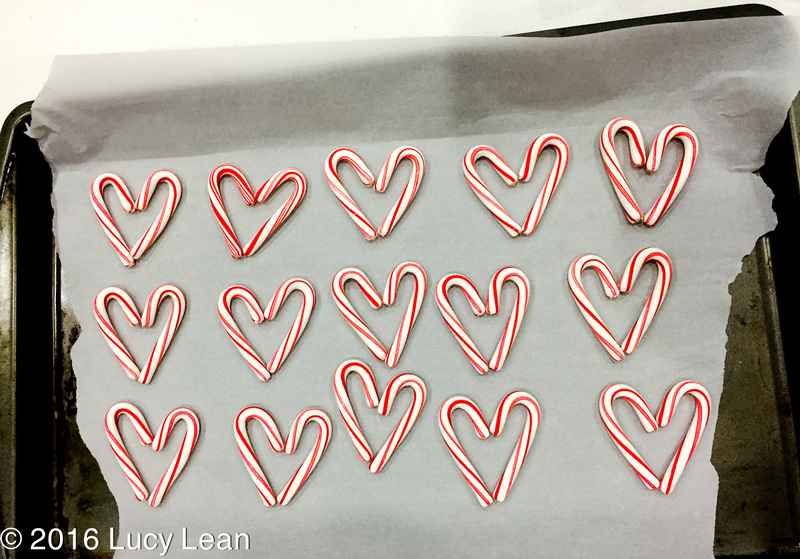 Remove from the oven and as the candy canes are cooling push them together to form a heart. Let cool completely. You can add a red ribbon and hang on the tree or on a gift or do as I did and arrange on a platter in a circle. I’m going to buy a few extra packets and squirrel them away for Feb 14th and these will also make the sweetest Valentines. Only love – in the run up to Christmas make it a daily ritual to show kindness to a stranger, your family or even yourself.